(i) The Company, Fine Organic Industries Limited, founded in 1970, is the largest manufacturer of oleochemical-based additives in India and a strong player globally in this industry. (ii) The wide range of specialty plant derived oleochemicals -based additives used in the food, plastic, cosmetics, paint, ink, coatings and other specialty application in various industries. 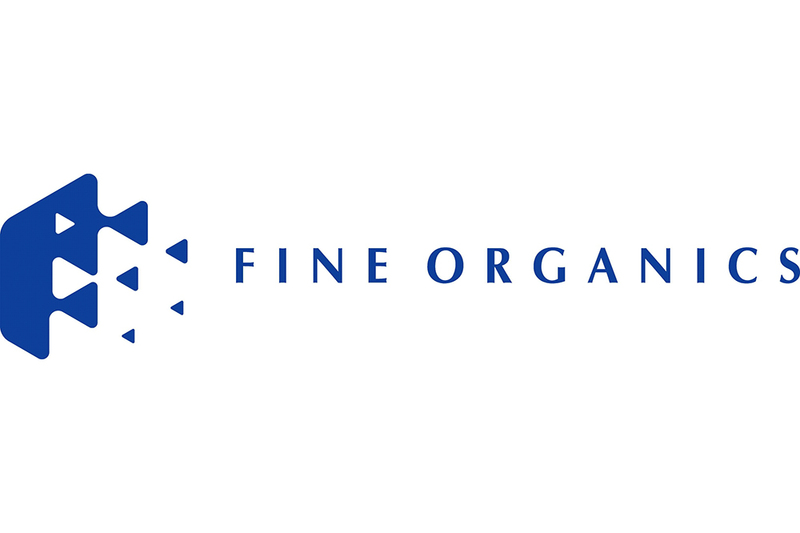 As at December 31, 2017, they had a range of 387 different products sold under the ‘Fine Organics’ brand. (iii) They had 603 direct customers (i.e., end -users of our products) and 127 distributors as on 31st Dec 2017 (who sold their products to more than 5,000 customers) from 67 countries. Their customers are multinational, regional and local players manufacturing consumer products, such as Hindustan Unilever and Parle Product and petrochemical companies and polymer producers globally. Their plastics additives and specialty additives are also used in the packaging of foods and other fast moving consumer goods. are: This is pure OFS vide which promoters of the company are selling up to 7,664,994 no. of shares to public. So this means that company will not get anything from this IPO. Note: The Promoters are selling huge % of Shares via IPO. Generally not a good sign for any company. Key Notes: a) The Revenue is growing at CAGR of 12.35% from FY13 to FY17. b) The PAT is growing at CAGR of 38.98% from FY13 to FY17. c) The Annualized EPS for FY17-18 would be 25 d) P/E= 30 at Cutoff price of 783( on higher side) e) P/B= 6.63 at cutoff price of 783. ( on higher side) f) The company is almost debt free. The long term debt is Nil. The short term debt is around 35 Cr.- Big Positive. g) Mcap/Sales(ideally <2)= The company has a M.Cap of 2400 Cr and Annualized sales of FY7-18 is around 792 Cr. So M.cap/Sales is 3( on higher side). h) The Company's EBITDA Margins are almost stagnant around 10% in last 4 years not a encouraging sign though. However, the company is looking for expansion in coming years which may drive the margins higher. i) The Company is generating positive cash flows from operations in last 5 years- Big Positive. Goldman Sach has bought 2.79Lacs shares in fine organics at 815. This is very good news for investor. Keep on holding this share for long term. 2,668,093 Shares Got Delivered Today. i.e. 34.8% shares got new owners. If we assume all the retailers sold their allotments then it means 99.45% retailers are out now. Funds of Fine IPO will be unblocked on 28th June. As per new SEBI guidelines, the company coming up with an IPO now have to show only 3 years Financial statements in the DRHP. This will lead more companies to raise funds via IPO. However, this will have negative from the perspective of the investor as less numbers means less interpretation about the company’s performance. SEBI has reduced the no. of days from 5 to 2 to announce the price band of IPO. Previously it was announced 5 days prior to opening of IPO for Public subscription which has now reduced it to 2. We will have to see how it will impact the grey market as now we have only 2 days to do all the grey business. The issue has subscribed only 12% on day one. The company has allotted 22,99,497 equity shares to 15 anchor investors at Rs 783 per scrip, garnering Rs 180.05 crore, Fine Organic Industries said in a statement.Among the anchor investors are Goldman Sachs India, HDFC Small Cap Fund, SBI Magnum Comma Fund, DSP BlackRock Equity & Bond Fund and IDFC Equity Opportunities Fund – Series 5. Mumbai, June 19, 2018: Fine Organic Industries Limited (the “Company” or the “Issuer”) has allotted 22,99,497 equity shares at Rs. 783 (upper end of the Price Band) aggregating to Rs. 180.05 crore to 15 anchor investors. The anchor book has a good mix of investors including sovereign wealth funds, long only FIIs as well as top domestic mutual funds and life insurance companies. The anchor investors include: 1. GOLDMAN SACHS INDIA LIMITED (10%); 2. HDFC SMALL CAP FUND (10%); 3-A. SBI LONG TERM ADVANTAGE FUND – SERIES V (3.61%); 3-B. SBI EQUITY OPPORTUNITIES FUND SERIES I (0.28%); 3-C. SBI MAGNUM COMMA FUND (5.00%); 3-D. SBI TAX ADVANTAGE FUND SERIES II (0.56%); 3-E. SBI TAX ADVANTAGE FUND SERIES III (0.56%); 4A. DSP BLACKROCK EQUITY FUND (2.66%); 4B. DSP BLACKROCK EQUITY & BOND FUND (7.34%); 5A. IDFC LARGE CAP FUND (1.94%); 5B. IDFC EQUITY OPPORTUNITIES FUND – SERIES 5 (7.67%); 5C IDFC EQUITY SAVINGS FUND (0.39%); 6. RELIANCE CAPITAL TRUSTEE CO. LTD-A/C RELIANCE SMALL CAP FUND (10.00%); 7. KUWAIT INVESTMENT AUTHORITY FUND 224 (7.78%); 8. WHITE OAK INDIA EQUITY FUND (4.04%); 9. INDIA ACORN FUND LTD (3.73%); 10. NEW HORIZON OPPORTUNITIES MASTER FUND (7.78%); 11. ADITYA BIRLA SUN LIFE INSURANCE COMPANY LIMITED (5.55%); 12. PRINCIPAL TRUSTEE CO. PVT LTD. – PRINCIPAL MUTUAL FUND – PRINCIPAL EMERGING BLUECHIP FUND (2.78%); 13. EDELWEISS TRUSTEESHIP CO LTD AC- EDELWEISS MF AC-EDELWEISS BALANCED ADVANTAGE FUND (2.78%); 14. CITIGROUP GLOBAL MARKETS MAURITIUS PRIVATE LIMITED (2.78%); and 15. DB INTERNATIONAL (ASIA) LTD (2.78%). The Company valuations are not comfortable both in terms of P/E and P/B. So one can look to invest for long term as company business is unique and they are doing lot of expansion work in coming years which will ultimately boost revenue and margins. The company uses vegetable oils, including rapeseed oil, palm oil, palm kernel oil, sunflower oil, castor oil, soybean oil, rice bran oil as a raw material and it represents around 62% of the total expense. The company primarily import raw materials derived from palm and palm kernel oil. Recently , in Nov 2017, the govt of India has increased the tax on crude palm oil to 30% from 15%, and increased import tax duty on refined palm oil imports to 40% from 25%. This will dampens the margin further from next fiscal. As on 31.12.2017, the company has total debt of 34.5 Cr on books( long term debt=0 & Short Term Debt=34.5 Cr). The company has total equity 362 Cr. So Debt/Equity is almost nil. It is a debt free company. (a) They currently have three production facilities: one in Ambernath , one in Badlapur, and one in Dombivli all are in Maharashtra with combined installed capacity of approximately 64,300 tonnes per annum. (b) The Company is looking to acquire Olefine Organics partnership firm and a Promoter Group entity, at a manufacturing facility in Ambernath in the fourth quarter of Fiscal 2018. (c) They are also planning to set up an additional production facility in Ambernath with a planned installed capacity of 32,000 tonnes per annum (the “ Third Ambernath Facility ”).They expect it to commence operations in the fourth quarter of Fiscal 2019. In addition, they are currently planning to set up a new production facility in Leipzig, Germany with a planned initial installed capacity of 10,000 tonnes per annum (the “German Facility”) and they expect it to commence operations in the third quarter of Fiscal 2020. This facility will be owned and operated by a joint venture company in which they will have 50% equity interest. (e) They have a dedicated R&D facillity Mahape, Navi Mumbai. Total Issue – 76,64,994 Equity Shares = 601.70Crs.